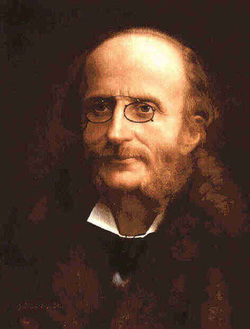 _ Jacques (Jacob) Offenbach (1818–80) was a French composer of German extraction. He is generally credited with establishing the operetta as a genre, which evolved into the twentieth century musicals. His father was a music teacher, bookbinder and cantor, who moved to Paris from Cologne. Before becoming established as a composer, Offenbach was a conductor and a virtuoso cellist. Orpheus in the Underworld first performed in 1858 is an opéra bouffon. The work is said to be the first classical full-length operetta. The law in France had not allowed certain genres of full-length works and Orpheus was not only longer, but more musically adventurous than Offenbach's earlier pieces. The operetta is an irreverent parody and scathing satire on Gluck and his Orfeo ed Euridice and culminates in the risqué galop infernal ("Infernal Galop") that shocked some of the audience at the premiere. The Infernal Galop from Act II, Scene 2, is famous outside classical circles as the music for the "Can-can". The Galop has also been arranged to represent the tortoise in The Carnival of the Animals, played by the strings. 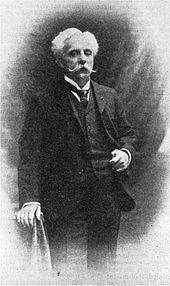 _ Gabriel Fauré (1845–1924) was one of the most influential French composers of the period. He was an organist until his compositions became recognised. Between 1905 and 1920 he was Director of the Paris Conservatoire, introducing much needed reforms. Pavane was originally written for piano in the late 1880s. Fauré intended it to be played faster than it is usually performed. In 1887, Fauré composed the orchestral version at Le Vésinet. The purely orchestral composition was to be played at concerts conducted by Jules Danbé. After he dedicated the work to his patron, Elisabeth, comtesse Greffulhe, he staged a grander affair and at her recommendation, he added an invisible chorus to accompany the orchestra (with additional allowance for dancers). The orchestral version was first performed on 25 November 1888. Three days later, the choral version was premiered at a concert of the Société Nationale de Musique. In 1891, the Countess finally helped Fauré produce the version with both dancers and chorus, designed to grace one of her garden parties in the Bois de Boulogne. A ballet arrangement was first performed in 1917. L'Arlésienne Suite No. 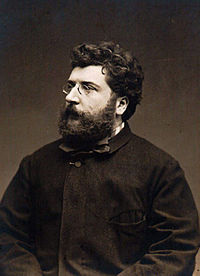 2 was arranged and published in 1879, four years after Bizet's death, by Ernest Guiraud, using Bizet's original themes. Since he wrote the themes and the basic orchestration, the second suite is also credited to Bizet. 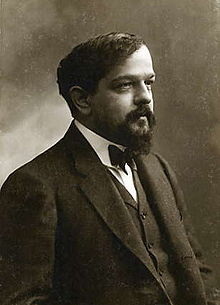 _ Claude Debussy (1862-1918) came from a humble background and had little formal education outside of music. His father was imprisoned as a Communard. Debussey rarely seems to have regarded his compositions as finished and many went through continual revisions. 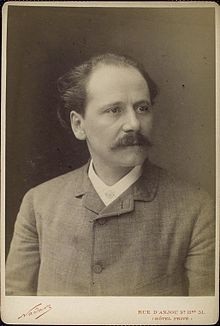 _ Jules Massenet (1842-1912) was one of the most prolific French opera composers of the period. The Méditation is a symphonic entr'acte performed between the scenes of Act II in the opera Thaïs. In the first scene of Act II, Athanaël, a Cenobite monk, confronts Thaïs, a beautiful and hedonistic courtesan and devotée of Venus, and attempts to convince her to leave her life of luxury and pleasure and find salvation through God. It is during a time of reflection following the encounter that the Méditation is played by the orchestra. In the second scene of Act II, following the Méditation, Thaïs tells Athanaël that she will follow him to the desert. Massenet may also have written the piece with religious intentions; the tempo marking is Andante Religioso, signifying his intention that it should be played religiously and at walking tempo.